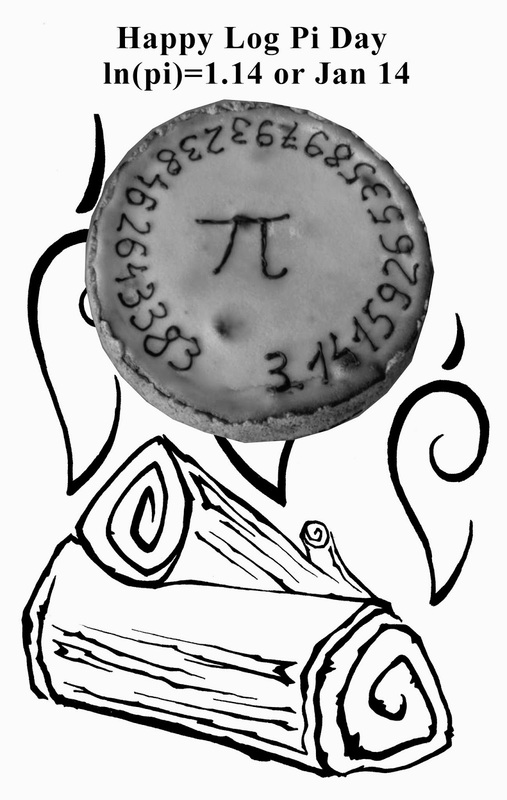 Jan 14 is Log Pi Day since ln(pi) = 1.14 (approximately). Note that this requires natural logarithms (base e). We math and Science Fiction nerds can never have too many days to celebrate. The burning log is from Nathan's Adventure in the Other-Other Land. The pie is from the Delft University website, via Wiki.